EXPERIENCE INCLUDES: MASSAGE COMBINATION (75min) + MEAL. Enjoy a touch of zen with this complete all-over-body experience. 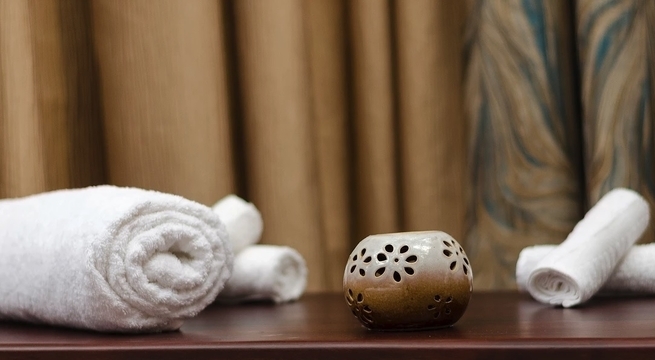 Includes a 75 minute Touch Therapy Foot Tradition and massage (choose from 'Deep', 'Gentle' or 'Stretch') combination, and a meal from the a'la carte menu (to the value of Ksh 2,200). Additionally, enjoy all day access to the Spa's relaxation areas and the Sanctuary's expansive and beautiful gardens. EXPERIENCE INCLUDES: MANICURE, PEDICURE + SALAD. Make your regular mani-pedi a treat to look forward to! Enjoy a Classic Manicure*, a Classic Pedicure* and a choice of salad from the a'la'carte menu. Additionally, enjoy all day access to the Spa's relaxation areas and the Sanctuary's expansive and beautiful gardens. *Gel polish removal and application not included. EXPERIENCE INCLUDES: FACIAL (90min) + MEAL. Enhance your glow with a spa day in Entim Sidai's beautiful forest. The experience includes a 90 minute facial (choose from 'Breakout Control' or 'Moisture Balance'), and a meal from the a'la carte menu (to the value of Ksh 2,200). Additionally, enjoy all day access to the Spa's relaxation areas and the Sanctuary's expansive and beautiful gardens. EXPERIENCE INCLUDES: MASSAGE (90min) + MEAL. 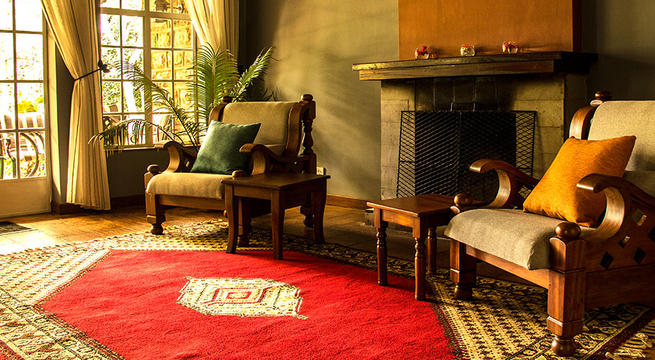 A perfect spa break for the tired and stressed, set in Entim Sidai's beautiful forest. 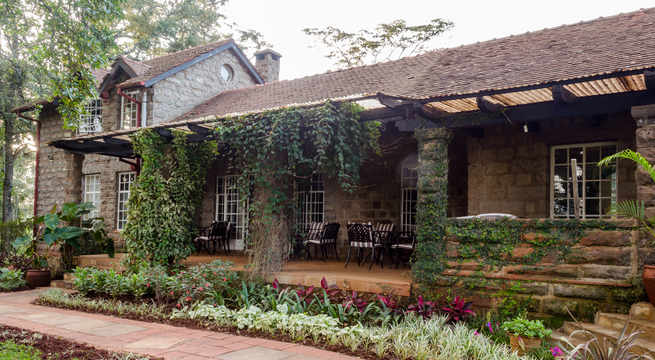 The experience includes a 90 minute massage (choose from 'Gentle', 'Deep, Strength' or 'Stretch'), and a meal from the a'la carte menu (to the value of Ksh 2,200). Additionally, enjoy all day access to the Spa's relaxation areas and the Sanctuary's expansive and beautiful gardens. EXPERIENCE INCLUDES: MASSAGE (60min), MANICURE, PEDICURE + SALAD. 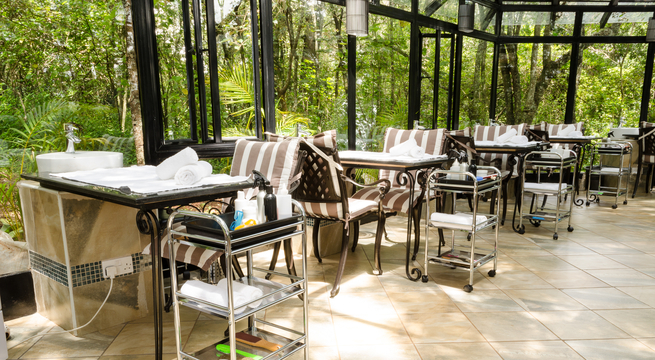 Take time to pamper yourself under the thick canopy of an indigenous forest. Enjoy a 60 minute massage (choose from 'Gentle', 'Deep' or 'Stretch'), a Classic Manicure*, a Classic Pedicure* and a choice of salad from the a'la'carte menu. Additionally, enjoy all day access to the Spa's relaxation areas and the Sanctuary's expansive and beautiful gardens. *Gel polish removal and application not included. EXPERIENCE INCLUDES: ROOM INCL. BREAKFAST, MASSAGE (90min) + MEAL. 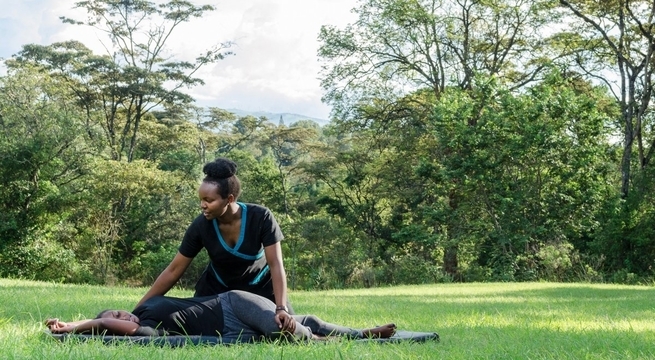 Escape the hustle and bustle with this beautiful forest spa-cation in Karen. 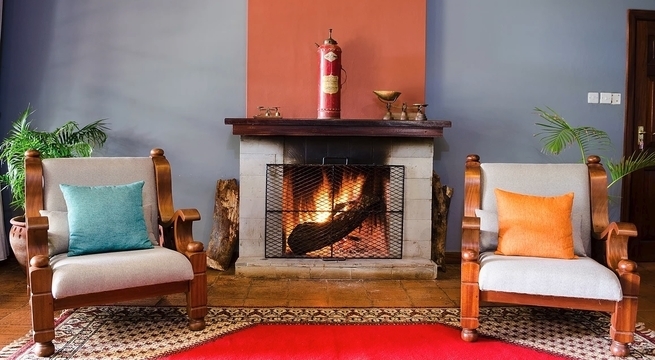 Stay 1 night in Junior Suite, including a meal (to the value of Ksh 2,200) and breakfast. Additionally, enjoy a 90 minute massage (choose from 'Deep', 'Strength' or 'Stretch'), and full access to the Sanctuary's expansive and beautiful gardens and forest walks. Check-in time is 2pm; check-out time is 10am. EXPERIENCE INCLUDES: PRENATAL MASSAGE (60min) + MEAL. Prepare for birth with a peaceful prenatal experience. The package includes a 60 minute Prenatal Massage (with a prenatally qualified therapist), and a meal from the a'la carte menu (to the value of Ksh 2,200). Additionally, enjoy all day access to the Spa's relaxation areas and the Sanctuary's expansive and beautiful gardens. 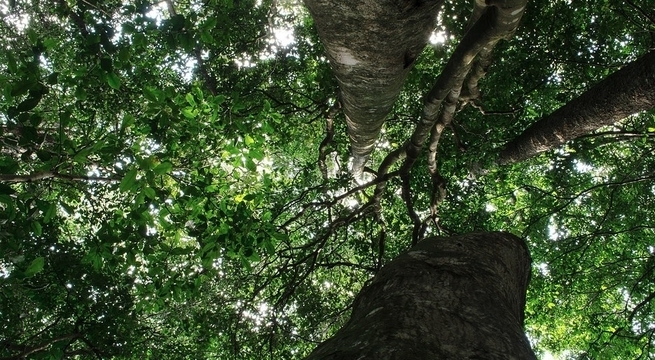 The phrase 'entim sidai' means 'beautiful forest' in the Maasai language. 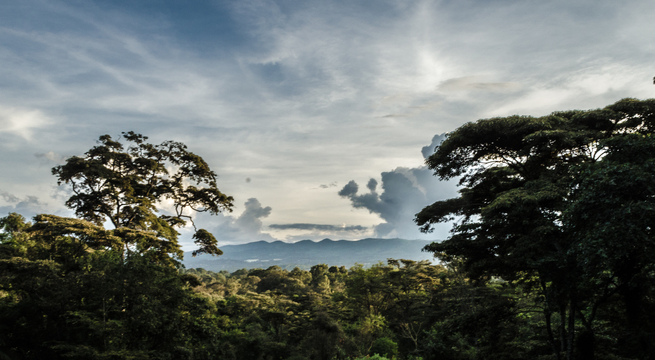 The Entim Sidai Sanctuary sits on 20 acres of indigenous forest in Karen with iconic views of the Ngong Hills. The Spa is located in a pioneer farmhouse built in 1924 surrounded by mature indigenous vegetation and prolific bird life. 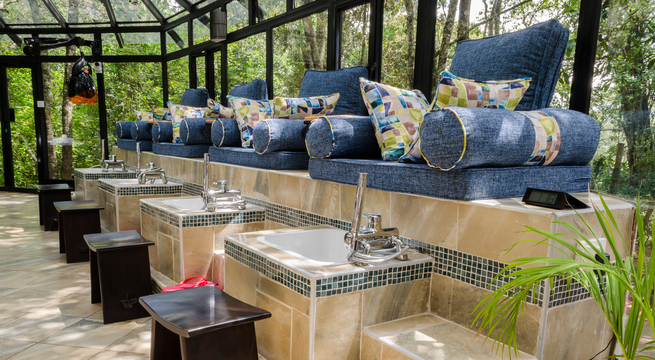 The Spa offers a range of treatments including hydrotherapy and boasts a one-of-a-kind glass-walled nail studio located in the forest. Additionally, guests have the choice of receiving their treatment in a glass-walled treatment room located within the forest, allowing them to enjoy the tranquility of the surrounding nature. The treatments available represent an eclectic mix from different cultures and are provided by a team of well-trained therapists and beauticians. In homage to the Maasai customs and way of life, the treatments are named after words and phrases from the Maasai language.